Tom Brady and Donald Trump are old pals, but would the New England Patriots quarterback vote for Trump in the GOP primary? 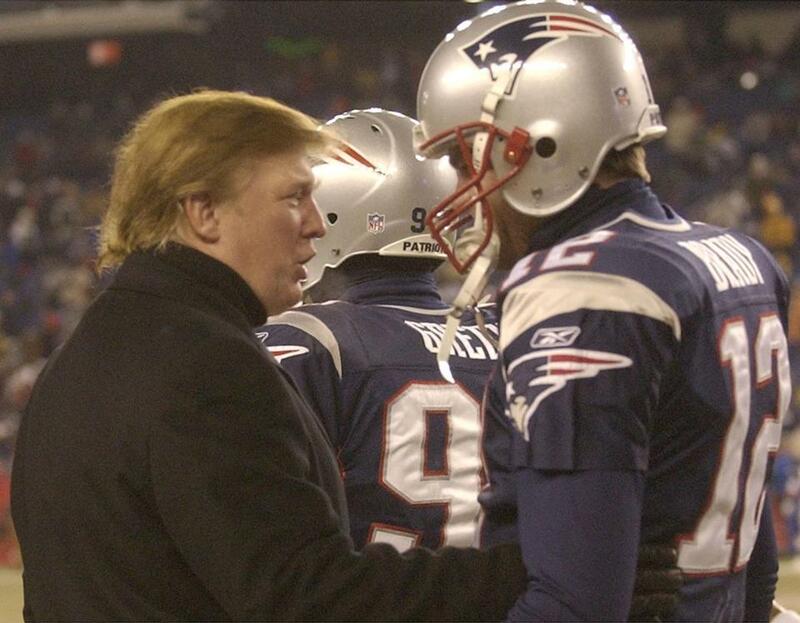 Donald Trump (left) spoke to Tom Brady prior to the start of a Patriots playoff game in 2004. WASHINGTON – Tom Brady as cabinet secretary? Why not vice president? The Patriots quarterback confirmed Tuesday that he has one of Donald Trump’s signature “Make America Great Again” hats displayed in his locker, and he revealed that he and Trump have a longstanding friendship. Brady said he first met Trump in 2002, when he judged one of Trump’s beauty pageants, and they’ve since golfed together many times. 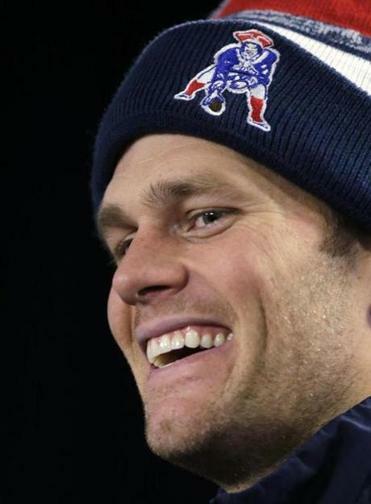 The Pats quarterback says his marriage is just fine, contrary to an Us Weekly story. Politicians have long benefitted by tying themselves to popular athletes (and Brady may be the only one at the moment who could challenge Trump’s polling numbers in New Hampshire). But Trump has long been a big cheerleader for Brady, repeatedly defending Brady against accusations that he deflated footballs. In May, when the NFL announced it was suspending Brady for four games, Trump went on a twitter tirade. “They had no definitive proof against Tom Brady or #patriots. If Hillary doesn’t have to produce Emails, why should Tom? Very unfair!” he wrote. In a recent interview with the Globe, Trump mentioned several times that he was friendly with Brady, and the Patriots organization. The feeling is mutual. Although Brady demurred when asked whether he will vote for Trump.